After the fall of the Berlin Wall and the collapse of the Soviet Union, the Atlantic Ocean became an afterthought for many military leaders. America’s naval forces pivoted toward other missions and have spent much of the post-9/11 era focused on terrorism and insurgencies in places like Afghanistan and Iraq. But as Russia’s rising military reasserts itself and Chinese forces continue their ascent, the Navy’s top officer sounded off this week about the Atlantic’s return to geopolitical relevance. Speaking to Voice of America, Chief of Naval Operations Adm. John Richardson warned that Chinese ships are regularly underway in the North Atlantic. And Russia’s underwater fleet hasn’t been this active in those waters in a quarter century. “Even five years ago, we wouldn’t have seen anything like this,” Richardson said. Frank disclosures like CNO’s are a notable break from the past, according to Bryan Clark, a retired submariner who now serves as a senior fellow at the Center for Strategic and Budgetary Assessments. At the same time, Secretary of Defense James Mattis said this week that he wasn’t too worried about the Russian boats. Russian subs have reportedly increased their activity around vital undersea data cables in the North Atlantic, a move that NATO officials view with alarm. Along those cables flow the internet and other electronic communications connecting North America with Europe. 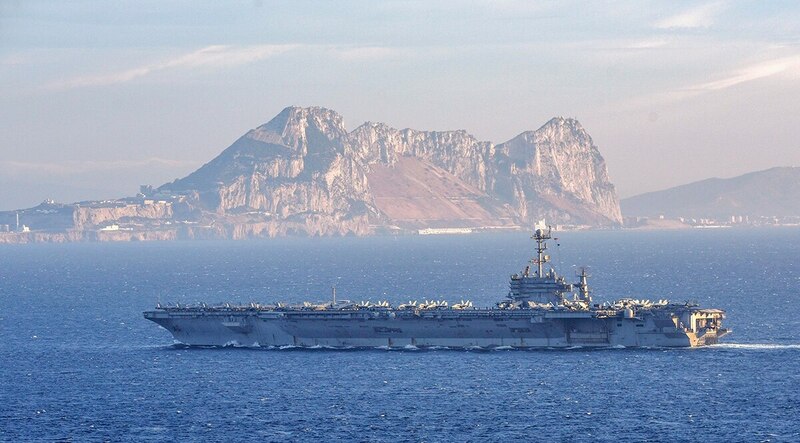 An increase in Russian and Chinese activity likely explains increased Navy operations in the Atlantic, such as the recent deployment of the carrier Harry S. Truman, Clark said. Leadership disclosing such concerns may be part of an effort to convince the public of the issue’s importance, Clark said. “Publicly discussing Chinese and Russian operations may help Navy make the case for a larger fleet to support an increase in Atlantic presence and posture,” he said. More sea lanes are open and the internet relies on undersea cables. In response to this new emerging Atlantic reality, Richardson announced in May that the Navy would re-establish the 2nd Fleet to better cover those waters. Speaking with VOA this week, Richardson also said sailors are having to defend against Russian jamming devices while underway, like the ones U.S. ground forces have faced in Syria. Electronic warfare can collapse everything from communications to navigation systems. “These disruptive technologies…are really going to be decisive in the future fight, and we’ve got to make sure that we’re investing in those as well,” Richardson was quoted as saying.